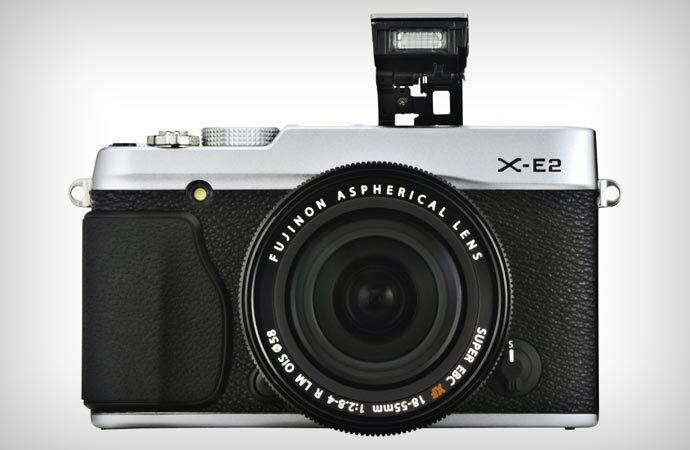 The Fujifilm X-E2 Mirrorless Digital Camera provides image quality that can easily compete with full-frame cameras, but also packs loads of functionality in a very small and surprisingly stylish package. 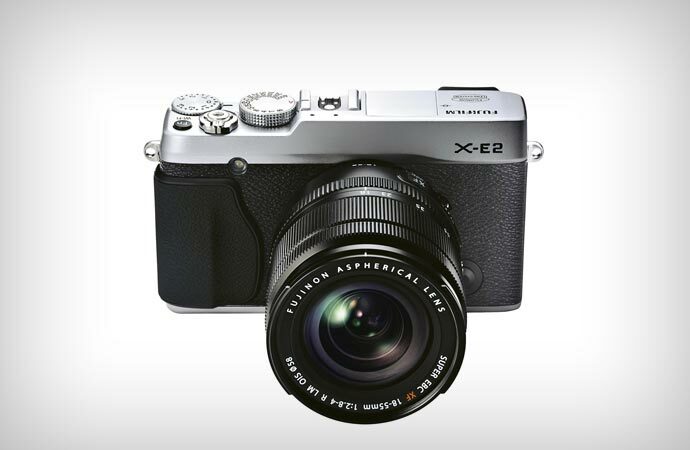 The X-E2 features the amazing 16.3-megapixel APS-C, X-Trans CMOS II sensor, the same one that is featured in the Fujifilm X-T1. 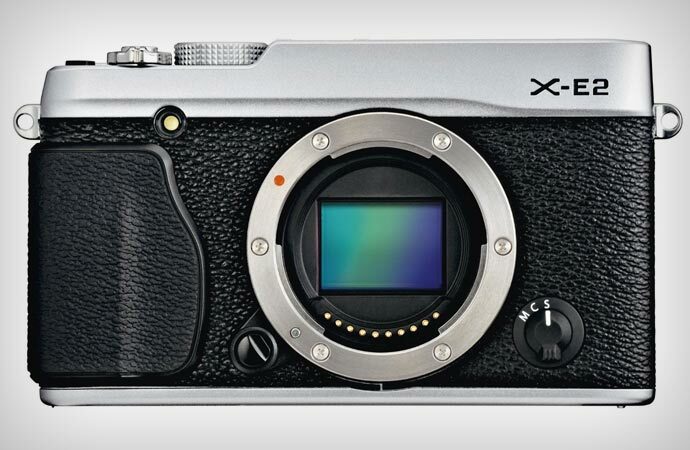 This sensor is combined with a stunningly quick EXR Processor II that, for example, provides autofocus in just 0.08 seconds. This kind of speed almost eliminates the possibility of out of focus photos and it is faster than any other camera in the same class. This kind of a setup ensures a sensitivity range from ISO 200 to 6400, which can be expanded to ISO 100-25600. Focus can be gained swiftly using Intelligent Hybrid AF System that combines phase detection and contrast detection. Manual focusing is also highly improved due to this. The mentioned processor provides fast performance of every feature. Start up time is just 0.5 seconds; shooting interval time is about 0.7 seconds; and the shutter lag is also about 0.5 seconds. How powerful the processor is you can see from the fact that it provides full resolution images at 7fps for up to 28 frames. 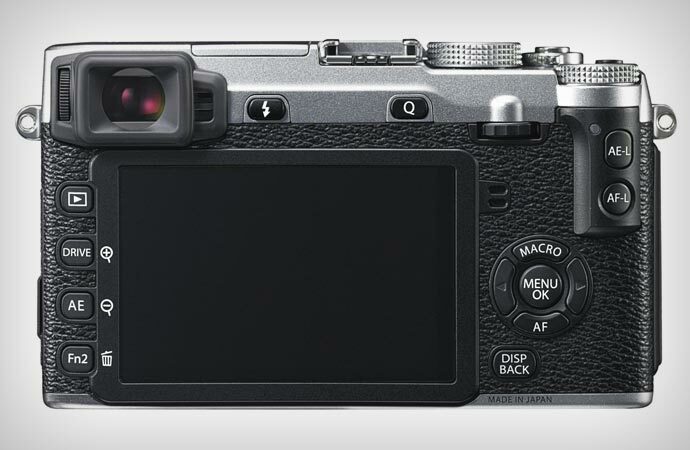 A 1,040k-dot 3-inch LCD screen makes image reviewing and navigation through menu very easy. 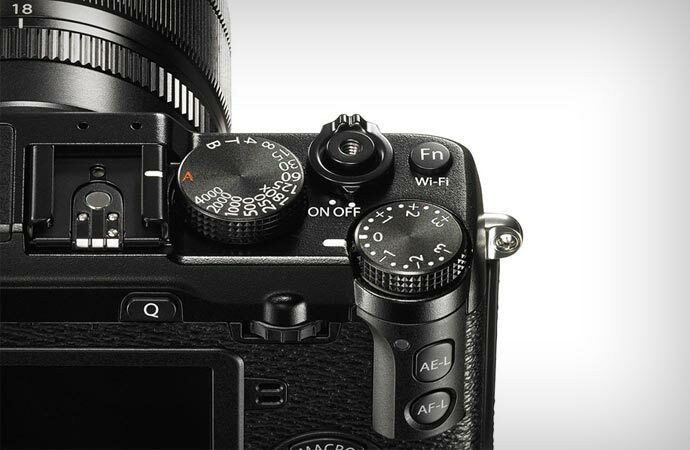 The controls include manual control dials that are located at the top of the plate, as well as four buttons that are customizable and a Q menu button. Another, pretty standard, but also very useful feature is the Wi-Fi connectivity. When it comes to recording, you will be able to enjoy full HD 1080p in multiple frame rates. Audio quality of your recordings can be further enhanced using an external microphone that can be connected using a 2.5mm input. Design-wise the X-E2 is just great. 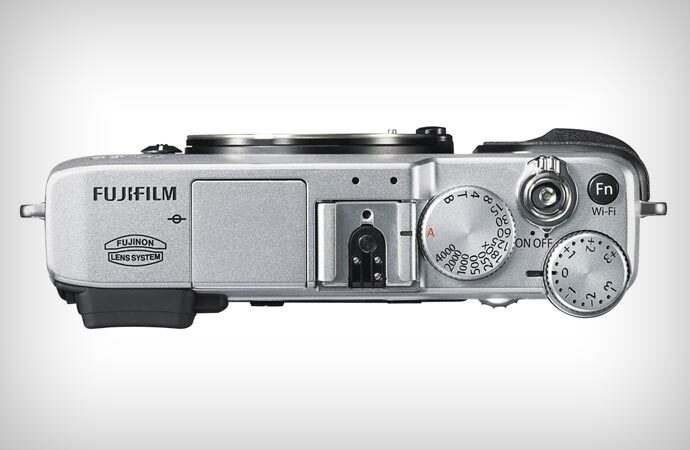 It looks like a real old-school film camera. There are analog dials that look great, but they are combined with automated technologies and aided by four customizable buttons. However, the design is not the only retro-based feature. 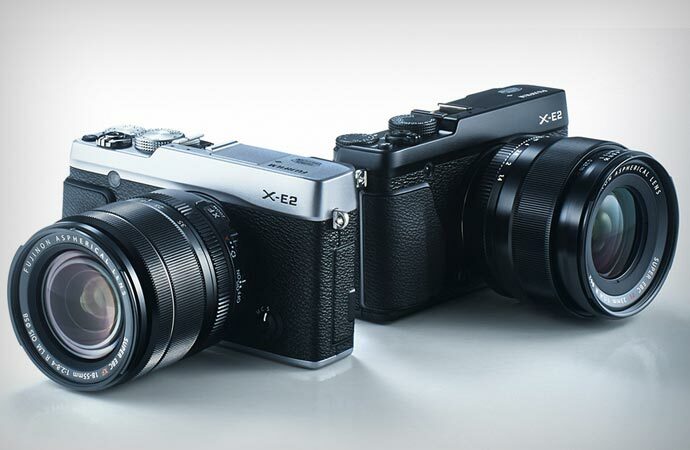 The X-E2 has a number of Film Simulation modes that imitate the effects of film cameras. 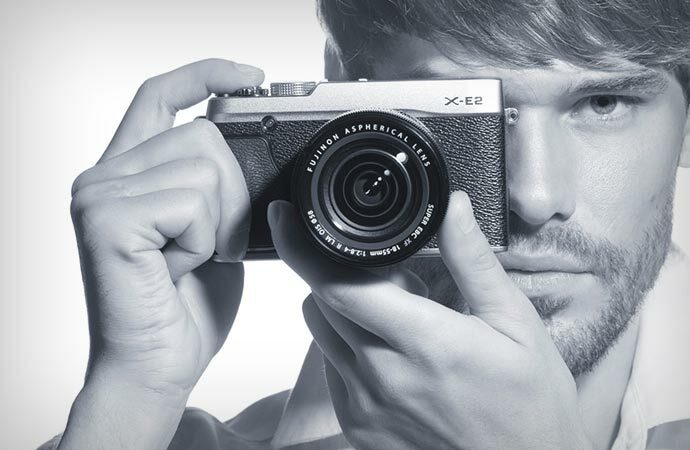 The X-E2 is most definitely one of the products that provides a lot for its price of $999 on Amazon. You get modern features, amazingly fast processor, great image quality and, for all classic lovers, great design and film camera feel. What more can you ask for?